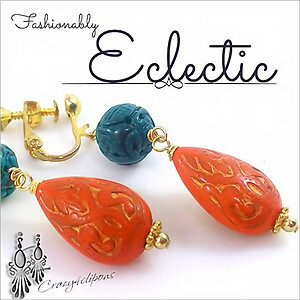 Features: Add a fun splash of color to your autumn wardrobe with these color-rich earrings. 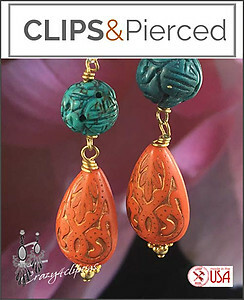 Intense brick-tone lucite teardrops are paired with carved teal beads. A gorgeous combination of color and style. Perfect for the season.